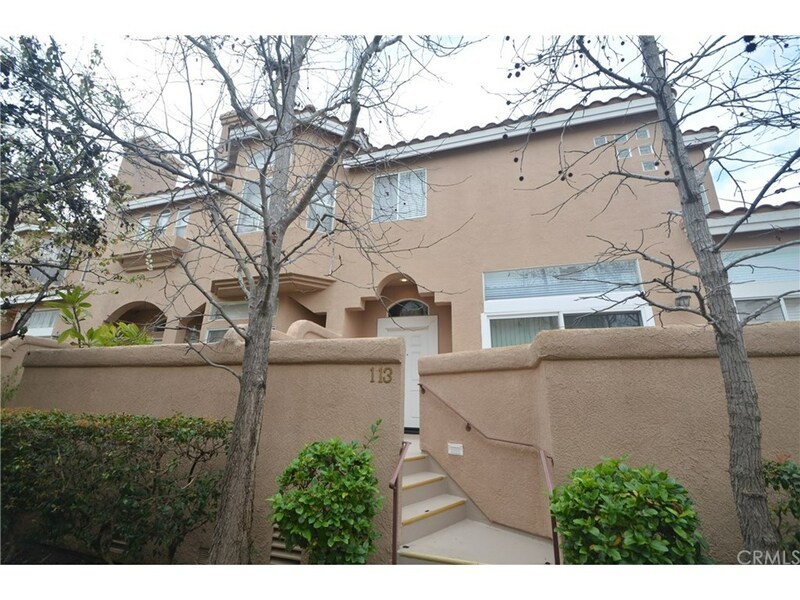 Don't miss out on this rare opportunity to live in this extensively remodeled 3BR/2.5BA end-unit townhome located in best quiet interior location of La Terraza. Bright and inviting living room with fireplace, brand new distressed wood laminate flooring and new sliding doors. Up a few steps is dining area with small balcony, adjacent to kitchen, both with new tile flooring. Gorgeous quartz countertops, downdraft gas cooktop on kitchen island, wall-mount double ovens and dishwasher all new in stainless steel have just been installed, and cabinets refinished, in kitchen. Master bedroom upstairs with fireplace and walk-in closet has new wood laminate flooring and master bathroom with tub and separate shower and new tile flooring. Two other bedrooms, hallway and staircase with new matching wood laminate flooring. New window blinds all over. Bonus room, three-car garage and newer water heater unit in garage. Pool, spa and clubhouse in community. Walking distance to Hickory Elementary and parks. Located conveniently to shopping, dining, and various activities.